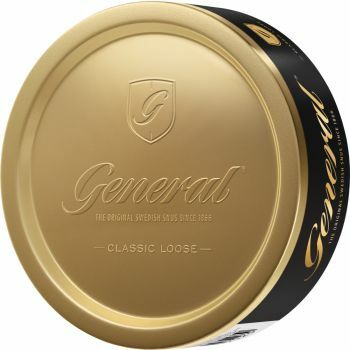 General loose has become a real classic in the snus world. 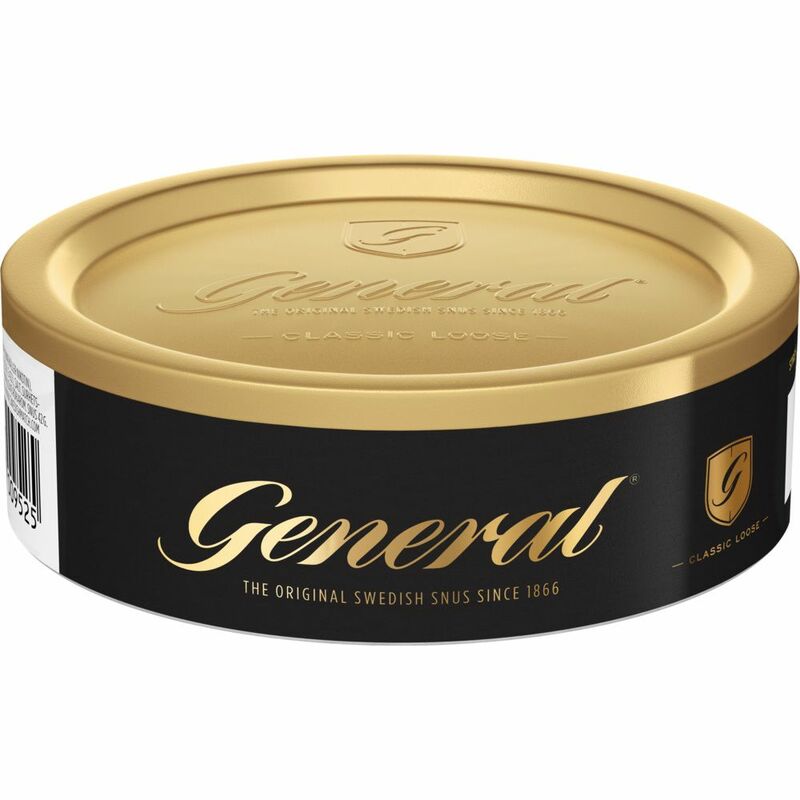 One of the world's largest snus brands, sold in huge quantities in Sweden and around Europe. 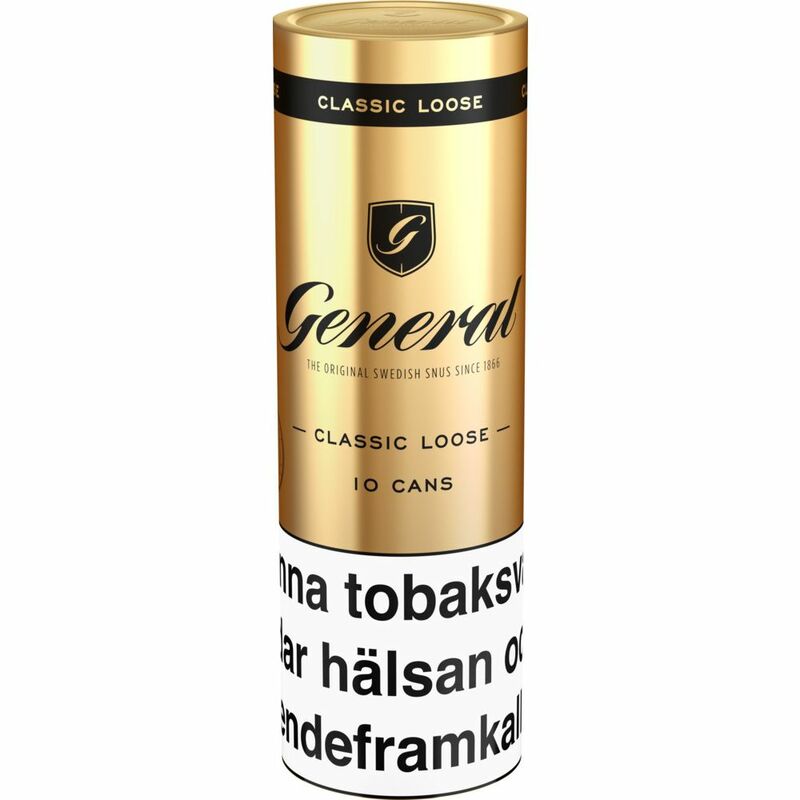 The recipe from 1866 was and is still secret. 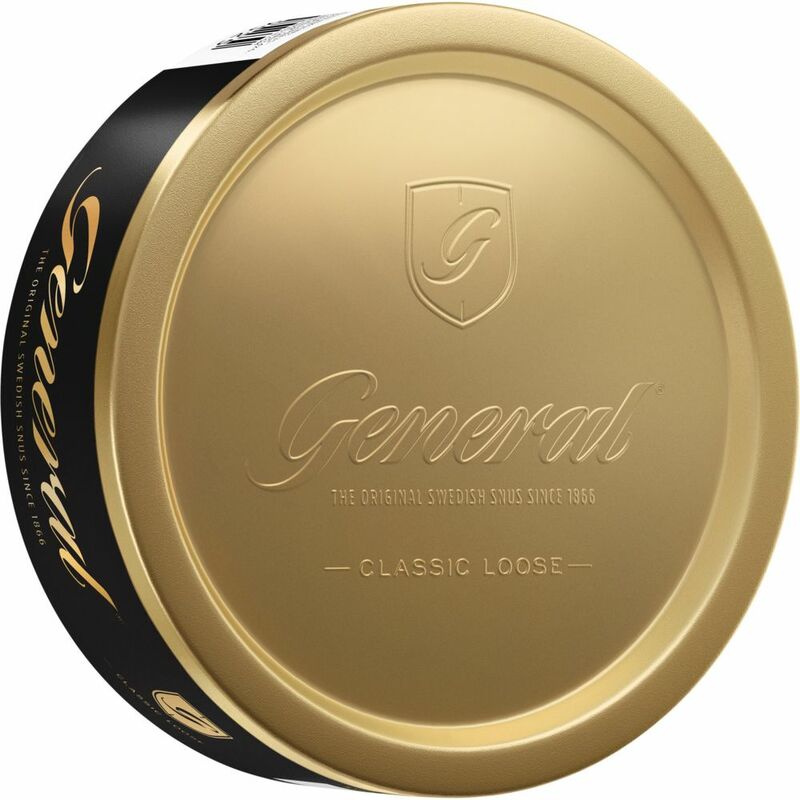 The snus has a spicy and full-bodied tobacco flavor with elements of bergamot, tea, dried grass and leather. 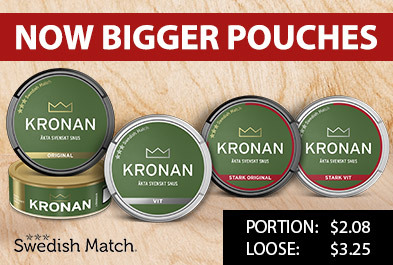 The combination of spice and acidity makes the snus well balanced. A loose snap that is lightweight and smoothly forms a perfect pristine. 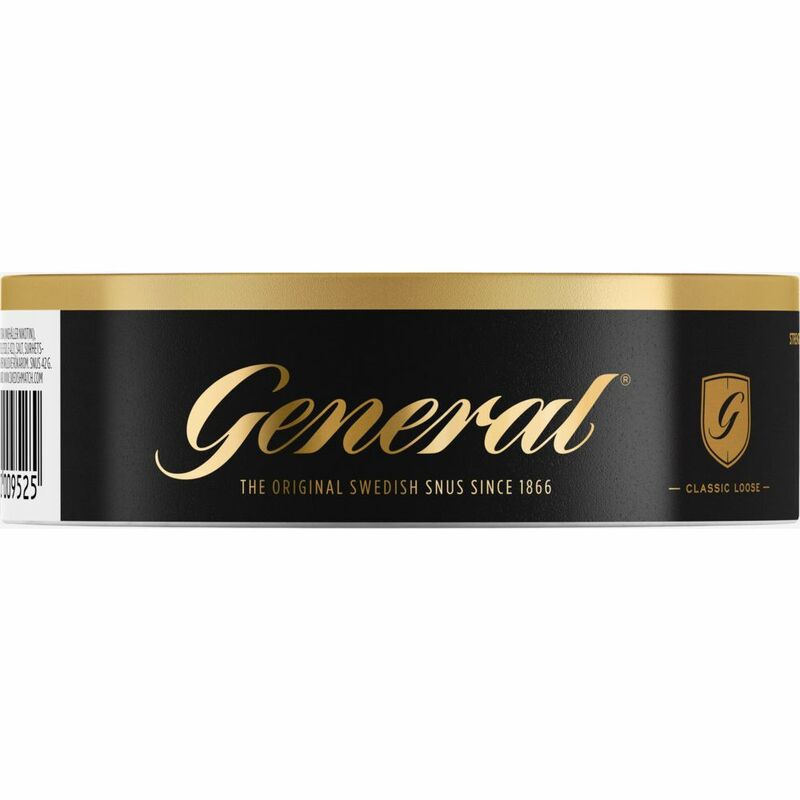 General Snus has set the standard for what snus is, both in Sweden and in the rest of the world. 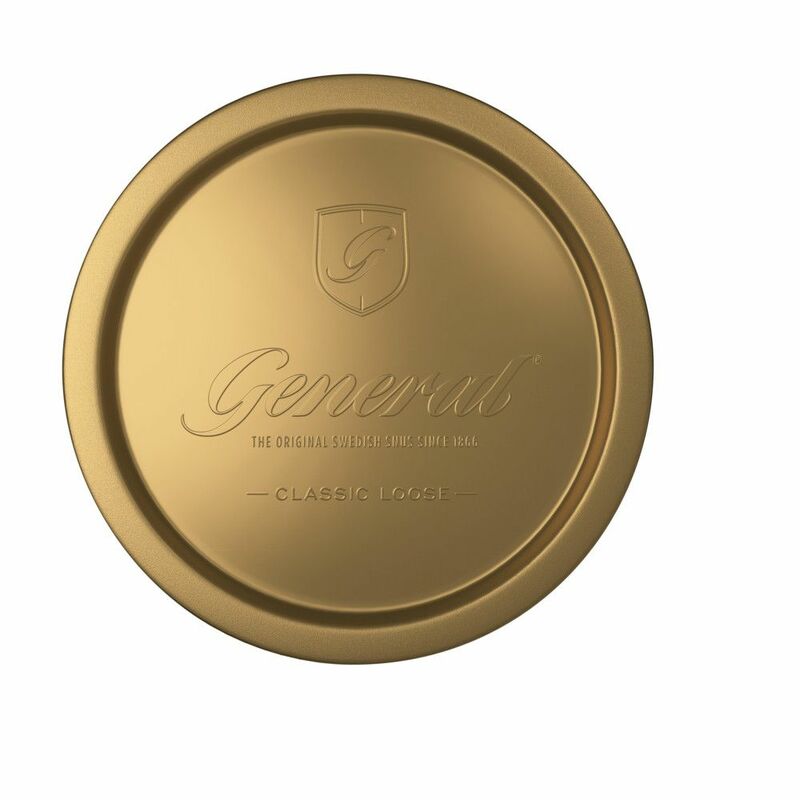 Here you will find all our products from General.